A pub with good cuisine, a place to meet for a good conversation, was what Helmut Winzeler (1928-2001) had in mind when he started Café Bern in 1978, together with his partner Alexandra and his nephew Tom. 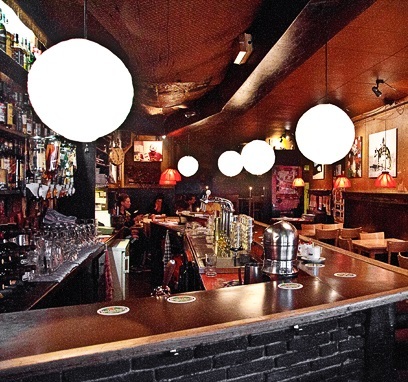 A few years later Koen Vollaers joined them and together they created the Café Bern as we know it today. Helmut is no longer with us, but his café certainly is, unmistakingly bearing his signature. Probably Café Bern’s most remarkable feature is how little it has changed over the years. The Fondue is as legendary as the Entrecôte Café Bern, the Emincé de veau, the Steak au pistou, the Yemenite salad and all those other Bern classics that are on the menu since so many years. Only the soups vary from time to time.